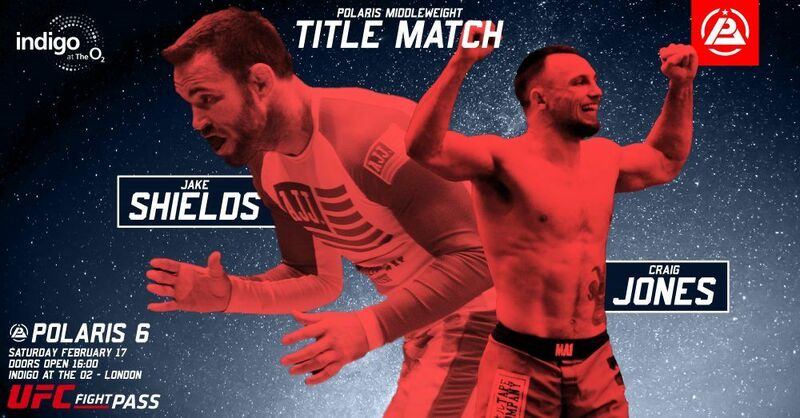 Polaris 6: JAKE SHIELDS vs CRAIG JONES for the Middleweight Belt! At Polaris 6, jiu jitsu phenomenon Craig Jones, who shocked the world at the recent ADCC by submitting both Leandro Lo and Murilo Santana, will be taking on Polaris veteran and former UFC superstar Jake Shields in a match for the inaugural Polaris Middleweight Belt. Do not miss your chance to see this live. Tickets on sale here. Also broadcast live and exclusive through UFC Fight Pass.